Crafting Confessions: Fun and Cute....no not me, the card! Fun and Cute....no not me, the card! Thank you so much for your really positive comments about my video tutorial - y'all so sweet! I'll definitely think about doing some more - lemme know if there's anything else you wanna see...within reason of course LOL! This card totally came together from the Moxie Tuesday Trigger for this week. Finally! I get to play along with a Tuesday Trigger! Those lanterns reminded me of an old Hero Arts set I had which needed some inky lovin'. To make up for my neglect, I dressed up my Japanese Doll with original Washi Japanese Papers - I like to think she's got style! Oh and I complete covered her hair in Glossy Accents "Because she's worth it!" LOL! Loadsa dimension going off on this card btw but the thing I like best is the twine used to hang my lanterns from! So y'see I am spending my time wishing I was at CHA creatively still...what shall I make next? LOL! So Cute!!! Love the little girl all dressed up. Your lanterns are perfect hanging from the twine. And I laughed when I read the title for your post! You're cute too! Loving this card Aimes, I remember this cute little stamp :) Great use of the lanterns and twine, loving all your little details of her glossy hair and Japanese print outfit too. Enjoy date night tonight, what film you going to see? Love how everything pops on those dimensionals :) Totally fun and cute...just like the artist :) Let's drown our sorrows together about not being at CHA...are your friends who are there buying you a bunch of stuff? Ah, the boat blow up...very fun!!! The best part was coming across all the festivities by accident :) Have a fun date night!!! Which movie? We tried to see Salt last night but it was sold out so we rented Crazy Heart. Have you seen Inception? Great, but weird!! Hugs!! Oh come on....you're fun & cute!!! Rather cute card, I do believe! Great use of twine and I hope you have fun tonight. Love how fun & cute this is! Those lanterns made me smile...really like them cut out & floating on the twine. :> Hope you had a great date night out! Definitely CUTE! Your little girl is adorable in her bright outfit--and love the hair! Perfect card for the challenge! 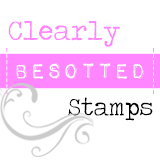 That is one cute little stamp and I love what you did with the twine and the lanterns. Hope you had a nice evening with your Mexican dinner! Fabby card Aimes! Love your take on the Tues Trigger - beautiful colors. Love the stunning kimono - wow! Oh I would have LOVED to meet you at CHA! Your card is super fun! This card is such a perfect take on the Tuesday Trigger and so so cute! Love how you dressed her up, you've got style! Perfectly fun and cute! Great take for the challenge! clean and simple ..pretty! Hi Amy, I just stumbled across your blog after I commented on your card at the HA Flickr group, WOW! 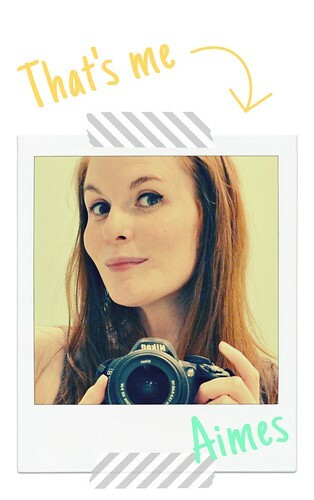 you make amazing cards, love your sweet blog, looking forward to viewing it more in the future. Love, love, LOVE this card Aimes! Simply adorable and I wish I could hold it in my hand! Very cute. Love your lanterns too! Beautiful card! Love all the colors you chose; they work great with the design. Gorgeous, what a cutie! Love the twine bows at the ends, really sweet! This is sooo cute! Love the bows at the end! WOW!! This card is so ADORABLE Aimes!! Yay - congrats on your win Aimes. Such a cute card. Are you as happy and relaxed as me??? So cute!!! love your interpretation of the trigger, that stamp set is perfect. Great job! Super adorable! I just love that little girl you used on it! What a cutie card! I love the way you've created this on the kraft and used the piercing along the edges! Congratulations on being chosen as a Trigger :0) Wooot! Fun and cute sums it up perfectly. adorable. Aimes on the Big Screen! Order is restored: he's HOME!